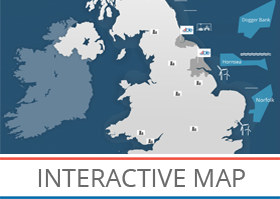 Able UK Ltd is a leading player across a range of activities including port operations, offshore wind installation, decommissioning redundant oil and gas structures, demolition and facility/property development. This vacancy has arisen mainly due to the continued expansion of the business and a growing order book. The advertised position will be within the Engineering and Design Team. Able UK Ltd are looking for an enthusiastic, professional and experienced candidate to work at their Head Office in Billingham, Teesside. The requirement is for a civil/structural technician with extensive experience of using AutoCAD. You are likely to have a minimum of 5 year’s experience with an engineering consultant or contractor and will have worked on large infrastructure schemes including earthworks, roads, drainage and buildings. The successful candidate will take up a permanent position at our headquarters on Teesside. Reporting to the Engineering Director, the candidate will be responsible for the production of drawings relating to external works for major infrastructure developments and will manage the work of other staff. The candidate should be highly computer literate. Candidates should be able to demonstrate a sound understanding of highway and drainage standards. The candidate is likely to hold an ONC/HNC Civil Engineering or an equivalent qualification. A market leading salary will be offered taking into account the experience of the applicant.